Fox News reported this morning that a former Honduran lawmaker traveling with the migrants was detained by authorities in Guatemala on Tuesday as President Trump threatened to arrest anyone entering the country illegally. 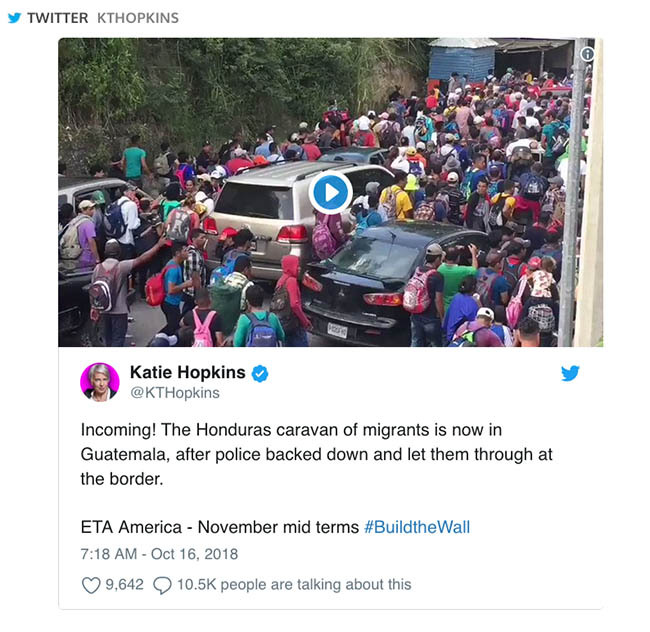 According to latest reports the caravan from Honduras has grown to 4,000. The Honduras caravan of migrants is now in Guatemala, after police backed down and let them through at the border. ETA America – November mid terms.